Raw honey is something truly special and nothings beats the beautiful wild pure honey we have for you here! Our Nature’s blends black seed infused honey would make a beautiful addition to anyone’s kitchen of health supplies and it is packed with antioxidants. 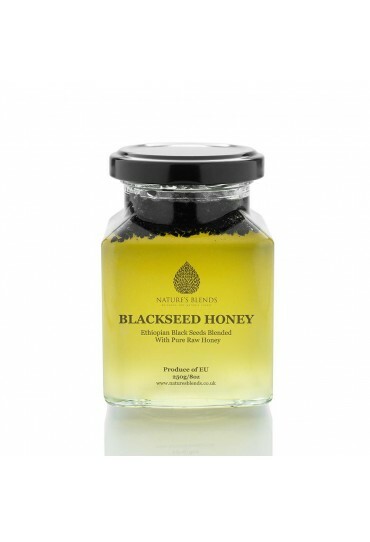 Pure raw honey is already great for you but this is blackseed honey and that means it’s even better. Black seed oil has been used in many Islamic medicines and is believed to help with a number of ailments including things like dizziness and tiredness. 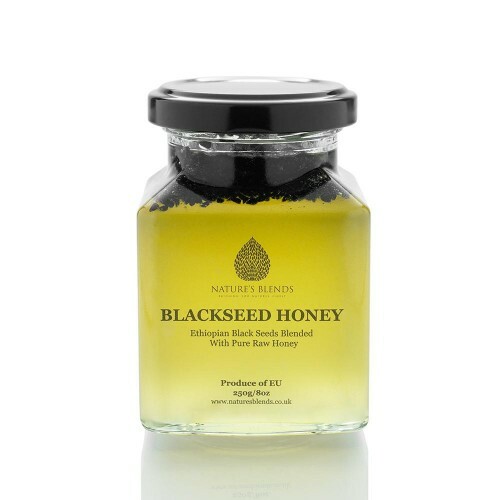 Perfect with your toast, cereal, soup, a drink or just a quick spoon full when you’re feeling peckish our Nature’s blend black seed infused honey can be enjoyed in many ways. You could apply it directly to your hair or skin if you like as well. •	Beautiful wild, pure honey! •	Made with an extra-special secret blend. •	Bursting with flavour and health benefits.